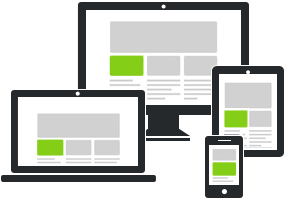 We provide a range of affordable web solutions for businesses/organizations. Our services include managing your domain name and web hosting, providing quality web design/development, increasing your search rankings through search engine optimisation, setting you up on our email marketing system, or pay per click advertising and other internet marketing services to increase the amount of business you get from your website. All of the websites that we develop / design we like to host on our own server allowing us to update your website easily and ensure that your website is loading lightning fast.